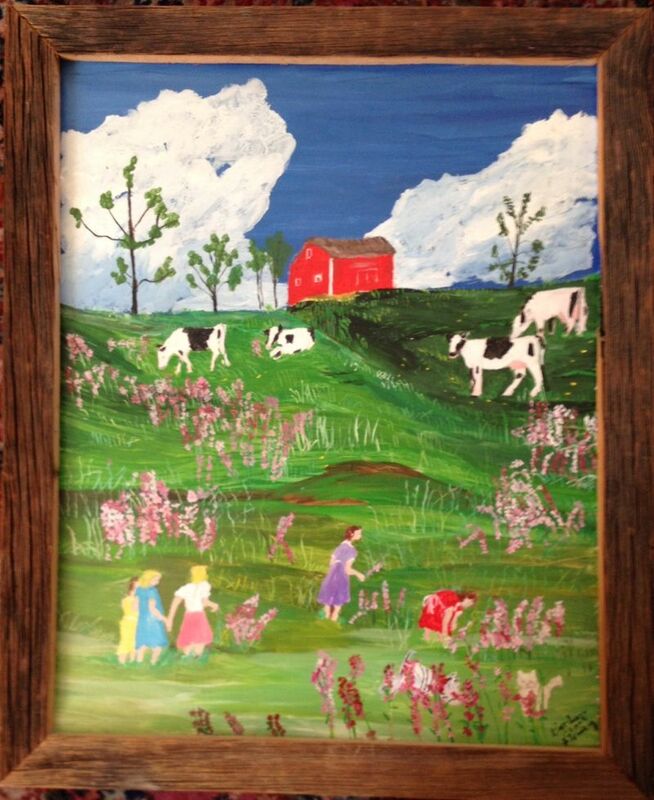 A lovely and unusual painting by noted Ontario folk artist, Barbara Clark-Fleming. 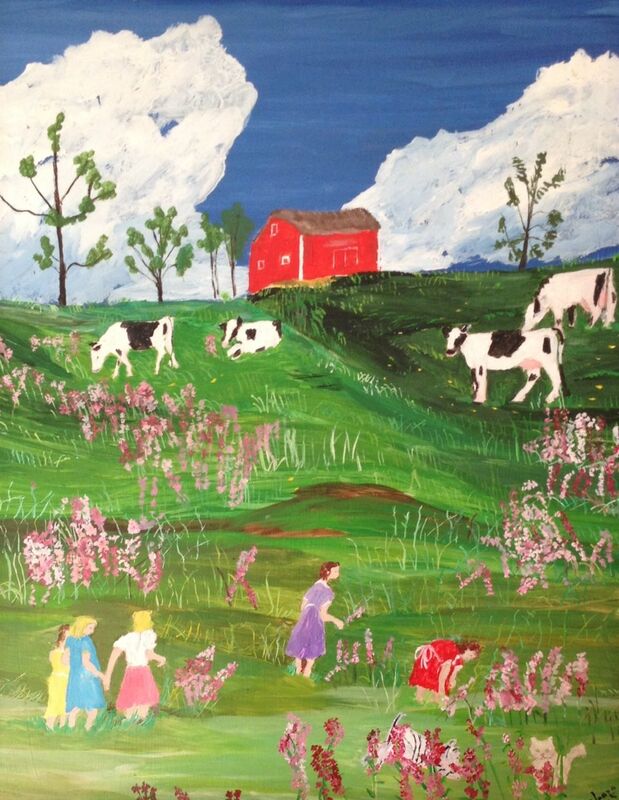 I have sold hundreds of her paintings and this is one of my favorites. We bought it from her about 1990, and it has hung in the upstairs hall ever since. We are now making a concerted effort to downsize so we are making it available. Connect to folkartcanada.ca via this link for bio. 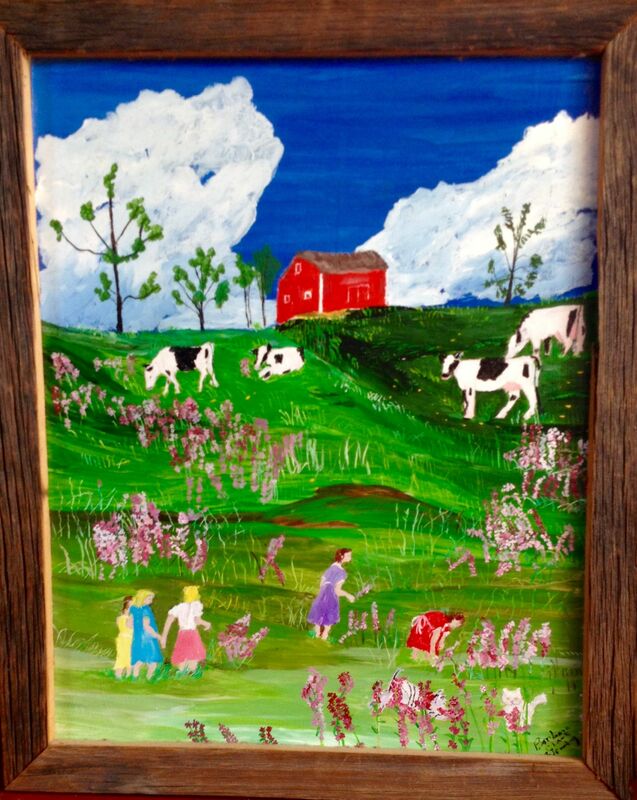 http://www.folkartcanada.ca/Ont_BCF.html. Signed on the front, right bottom. Framed by the artist. not dated. Circa 1990. Image size is 16" x 20".